Has Nigeria's Auto Policy Been Hijacked? 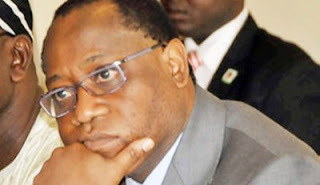 As Nigeria continues to grapple with the severe challenge of the huge decline in the inflow of foreign exchange (forex) into the nation's economy, the need to implement policies, which emphasise local manufacturing of products for which billions are spent in forex yearly, is undebatable. This is the very reason why companies whose businesses are essentially built around importation, especially of products that can possibly be made locally, must realise the inevitability of changing their strategy. In the light of the present dollar crisis therefore, the commencement of the implementation of a national automobile policy by the former minister of Industry, Olusegun Aganga, under the Goodluck Jonathan-led federal government, with the ultimate objective of promoting the local assembly and production of vehicles to cut down the over $6 billion annual vehicle importation bill, shows uncommon foresight. Since this policy known as the New Auto Industry Development Plan (NAIDP) was introduced in earnest around 2013, reputable research firms have come out to state that significant progress has been made in the achieving the goals of the initiative. A good example is the recent research embarked upon by PriceWaterhouseCoopers (PWC), which stated unequivocally that the Nigerian auto industry would be able to produce locally, four million (4,000,000) cars annually, by the year 2050 with credit to the (NAIDP). According to the summary of the PWC report: "We believe that by the year 2050, Nigeria should produce over four million vehicles. We have also created a pessimistic scenario because the world may not turn out the way we think, but even with the pessimistic scenario, Nigeria will be producing about 2 million vehicles, instead of the 4 million from the other scenario. Essentially, PWC is saying that by 2050, Nigeria is going to be a market that makes at least 4 million vehicles a year and would also stop importation of used vehicles." The appropriateness of this policy, its timeliness and prospects notwithstanding, some operators in the auto industry have however raised the alarm that most of the so-called local vehicle manufacturers and assemblers are not implementing the NAIDP, instead they have cloaked their activities under the immunity provided by the federal government for companies that are effectively implementing the policy and they are reaping the country off in the process. THISDAY gathered from a whistleblower group within the auto industry who asked not to be named that some of the major players who are expected to take the lead in the implementation the otherwise lofty auto policy are simply going abroad to purchase fully built cars, paying an extra cost to partially dismember these cars and then shipping them into Nigeria as knocked down components of the cars for assembly in-country, simply to qualify for the zero tariff given by government to companies actually assembling cars locally. "The government is losing billions of naira for nothing. If you think these people are actually assembling cars in Nigeria, you are just kidding yourself. Do you know what it takes to set up an actual assembly plant. Do you not see that Toyota politely declined the request for it to be part of the scam? "What do you think they are doing? try to enter their so-called assembly plants, you will see that they will not allow you because what they are doing is go abroad buy fully built cars, take off the side mirrors, the bumper, head and rear lights and so on. Ship these materials into the country, avoid paying any tariffs, then couple these removed parts at their so-called assembly plants, sell to Nigerians and smile to the bank. "Even their international partners have refused to sell completely knocked down (CKD) parts to them because of fear that they will mess up the standards of their cars and tarnish the image of their brands. Ask them who is selling CKD to them and you will see that they are just fleecing the country of tariff revenue that should have accrued to government coffers and putting the money in their pockets," one of the whistleblowers told THISDAY. Responding to question whether this is not just a phase in the process of getting these companies to eventually begin to assemble actual CKDs in Nigeria, they said it was nothing but another way of depleting the country's badly-needed revenue for individual benefit. They also associated the scam with the reason why so many companies and groups applied for licences to become auto manufacturers in the country, so much so that the government at some point had to stop accepting applications. "You think it is an easy business to break even. Why was everybody applying to become car manufacturers? It was simply because there was some easy amount to be made," the source told THISDAY. They claimed that to run a vehicle assembly plant profitably, there was a given number of cars that must be produced and sold annually and stressed that with the various several companies claiming to be assembling cars locally, there was no way each of them could achieve that threshold production and remain sustainable, while saying that if only one company actually sets up an proper auto assembly plant in Nigeria, it will gulp billions of dollars and employ thousands of people, something they said has certainly not happened with all those claiming to be local auto manufacturers.